Do you know someone whose freedom is stolen and they are servant day and night to a controller? How controllers work is one of the biggest mysteries of any relationship. The enemy one sleeps with, can also be smart, kind, and do many good things. The fact that this person is also abusive, is most puzzling and nearly impossible to believe. 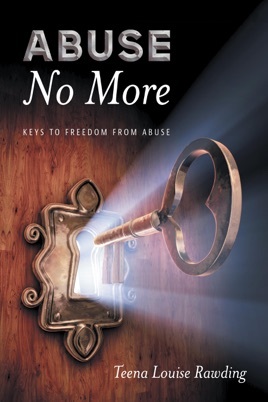 The book, Abuse No More, will help you unravel it's mysteries, and give courage to anyone who is caught in the web of abuse. It's not a sudden fix, but a journey. Reading, a page at a time, will help to unlock one door after another, until one day you will be able to take that step, out into freedom. The first step is to learn again to listen to your heart and to trust it. There are many wrong beliefs to kick out and new beliefs to embrace. You will easily glide from page to page, whether you have only a minute to read, or sitting in your favourite safe place to discover hope you've waited for. Feel the arm around you and new courage fill your veins. Soon you WILL find your way to safety and freedom!